Yet when his birthday was first proposed as a national holiday in 1979—just eleven years after his death—it was so controversial that it failed to win a majority vote in the House of Representatives, and it took another twenty-one years for the fiftieth state to recognize it. Many reasons have been cited for the resistance, but surely a major reason is doubts about King’s character. FBI Director J. Edgar Hoover considered King a communist and an adulterer and a threat to our democracy. He was an adulterer, a strong and bitter opponent of the war in Vietnam, and an advocate for a vision of economic justice that many thought was a rejection of American capitalism. John McCain for one was a bitter opponent of a holiday honoring King. were still heroes; they just weren’t heroes all the time, in every aspect of their lives. The Greeks knew it and Shakespeare knew it: nobody’s perfect. That doesn’t mean that we can’t admire the best of someone’s accomplishments and conduct. We can. We should. King is a hero for his leadership of the non-violent struggle that dramatically expanded civil rights in America, and we should revere him for that, with no need to diminish his accomplishments by dwelling excessively on his human flaws. On Martin Luther King , Jr Day we should reflect on King’s dream, and on the distance we still have to travel to make it reality. This entry was posted on January 15, 2012 at 5:19 pm and is filed under Ethics-general, History, Tolerance. You can follow any responses to this entry through the RSS 2.0 feed. You can leave a response, or trackback from your own site. It’s true, I, Martin Luther King Jr. was an adulterer. This being the cornerstone of my character, I find it hard to put value in any of my speaches considering I am unable to forgive even myself for such a horrible, vile act of dishonor. 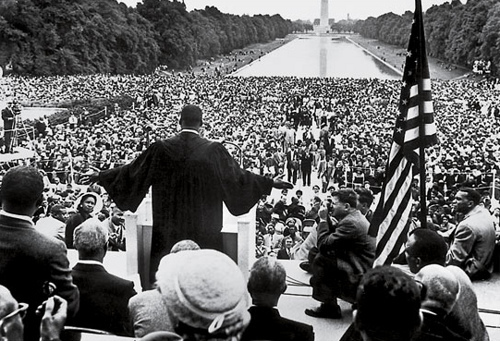 The value of King’s speeches is in the acts of the people who heard them. His physical courage in facing–literally–the crudest and most violent racism stands alone. Would you think an adulterer who races into a burning building to save a stranger’s child is a here? I would.